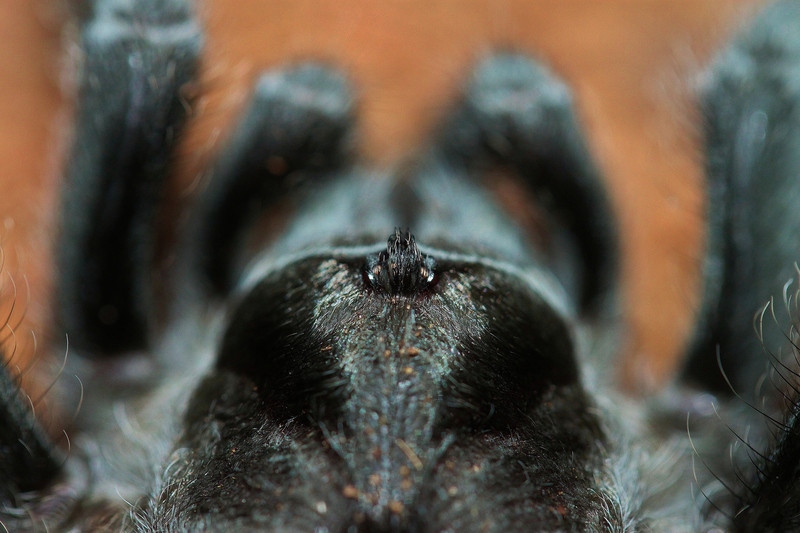 This entry showcases Grammostola pulchra (pronounced gram-oh-stole-ah pull-krah), the Brazilian Black. 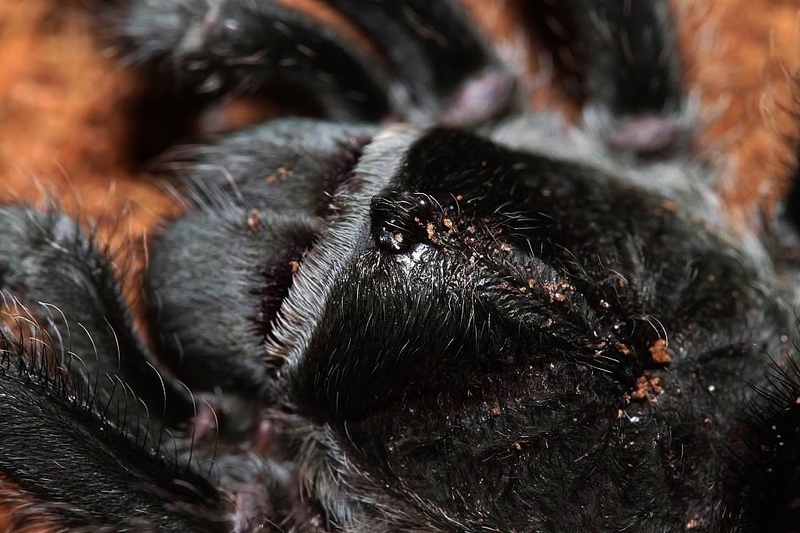 This is an amazing tarantula on so many levels. First off, it is absolutely beautiful. 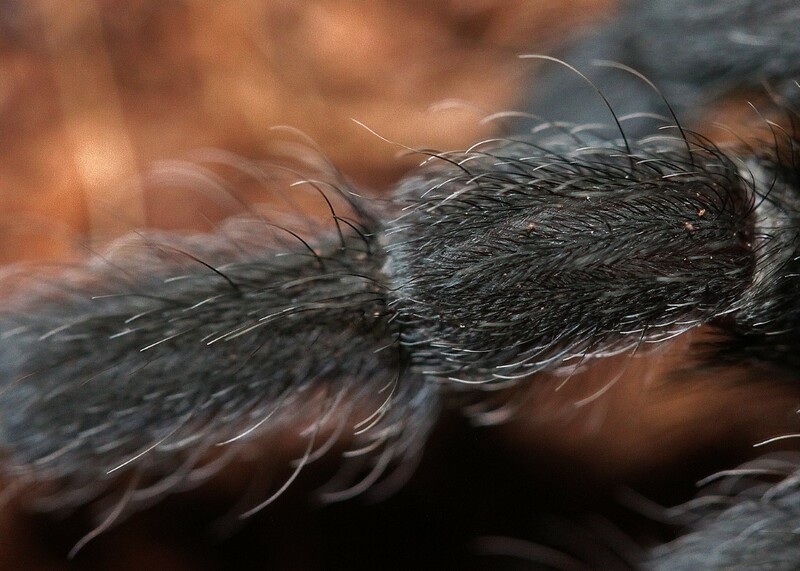 It is jet black, almost looking like black velvet, and has short white hairs on the legs and abdomen, providing a nice contrast. Second, they are very bulky, looking like little tanks, and get to be a decent size (up to 7 inches I have read). Third, they are very calm, true of most Grammostolas, and make incredible show animals as they are very often right out in the open. These terrestrials seem more opportunistic than burrowers and will take to an artificial hide quite nicely. They are slow growers though warmer temperatures may increase the growth rate. I received the two that I have as spiderlings in 2009 and right now only have about a three-inch leg span. Though they come from Brazil and Uruguay, they come from a cooler and drier environment so temperatures in the mid 70’s and humidity from 65 to 75% should suffice. 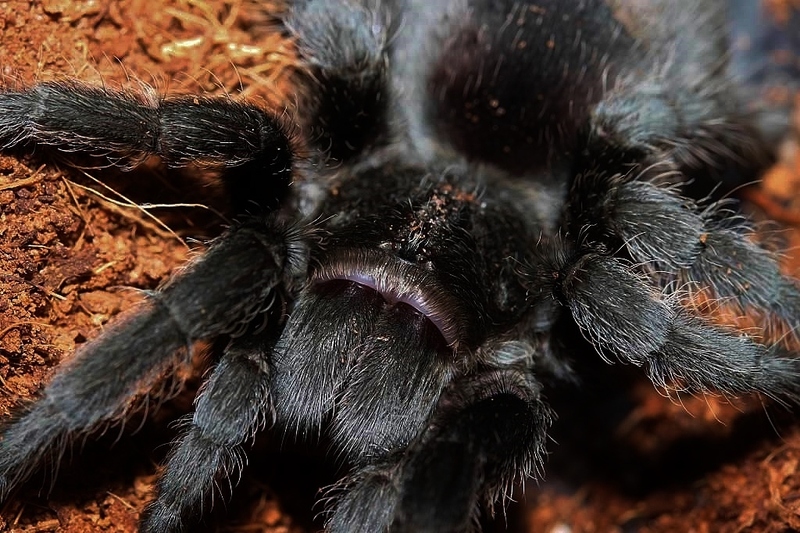 As with all of my tarantulas, I use Exo-Terra Eco-Earth. For tarantulas that like it drier I use the pre-expanded material as this is drier than what you would get with the compressed bricks. I provide a water dish but have never seen them drink from it (in fact they will oftentimes fill the water dish with substrate). Prior to molting they do go through a long fasting period, which may make some owners nervous or anxious. As long as the abdomen looks plump and it hasn’t started to lose weight, everything will be fine. I offer mine size-appropriate crickets weekly. Pulchras appear to be heavier eaters than other Grammostolas I own so when they are not fasting, I try to give them two to three prey items a week. They will take the food aggressively, which is the only time I have actually seen them be aggressive. Though they have urticating hairs mine seem reluctant to fling them. Do be careful if you handle them though as some of those hairs will undoubtedly fall off onto your skin. I have found that washing my hands with cold water and regular soap after handling prevents any problems. This species does seem to be readily available from most dealers and I personally highly recommend them. Though there are other “black” species out there, this is the one to get! The Grammostola genus is so underrated with so many beautiful and interesting species. This one in particular is a must have in every tarantula collection! 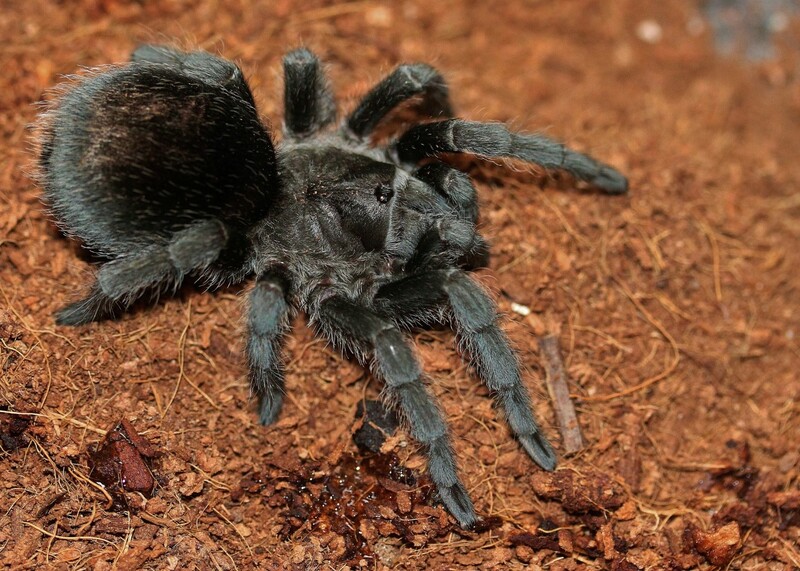 This entry was posted in Tarantulas and tagged Brazilian Black, Eco Earth, EcoEarth, Exo Terra, ExoTerra, Grammostola pulchra. Bookmark the permalink. Do you sell Ts? 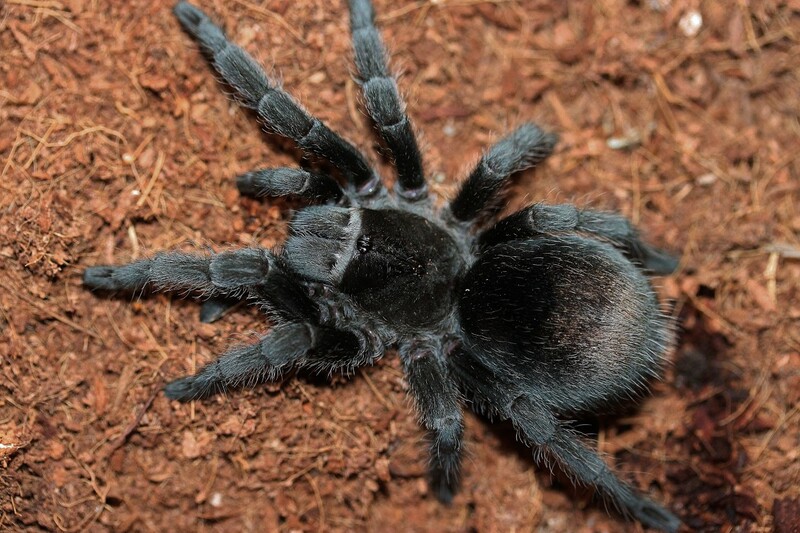 I’m looking for a GP for my first T.
I don’t sell tarantulas but there are many online dealers that sell pulchra. Try Swift’s Invertebrates, Jamie’s Tarantulas or Fear Not Tarantulas!